Curt Schilling's studio has hired the Command and Conquer 3: Tiberium Wars director from Electronic Arts. 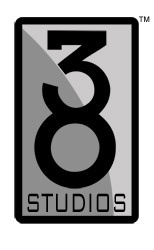 Continuing its streak of adding executive management, independent game developer 38 Studios has announced the appointment of Michael Kosenski to the position of Vice President of Product Development. Kosenski will oversee the development process, working alongside with Chief Executive Officer Brett Close, Vice President of Creative Development Scott Cuthbertson, and Chief Technology Officer Jon Laff. Formerly the Senior Development Director at Electronic Arts Los Angeles, Kosenski helmed recent hit projects such as Command and Conquer 3: Tiberium Wars and Lord of the Rings: Battle for Middle Earth 2. "Michael is one of the most highly respected and effective development forces in the video game industry. We are thrilled and honored to have him accept such a key position as we continue to build our incredible foundation of leadership. Michael will further enhance our ability to turn out AAA products across a complete range of entertainment platforms," said Close. Kosenski said, "Joining the team of Close, Schilling, Salvatore and McFarlane is a very exciting, once-in-a-lifetime opportunity. Being chosen to lead the development of such a talented team on such an amazing IP is an honor. I look forward to helping 38 Studios continue to excel in both product development and in building an incredible team culture. I'm proud and excited to be a part of a company with such a great future."